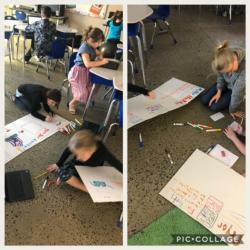 Third grade students are working in cooperative groups to research and create a presentation about an Arkansas governor. They will be presenting their projects to their peers and will be creating . . .
We are ready for a great week! Click here for the . . . It is going to be a busy and fun week this week! We have red ribbon week and book character parade. Click here for the . 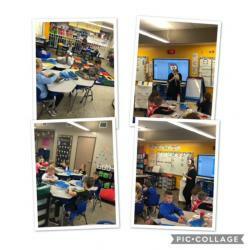 . .
Second grade is practicing their Phonics skills using multisensory techniques. Ms. Caldwell’s class is using the sand trays to build their fluency with phonics skills and Mrs. Sigrist even . 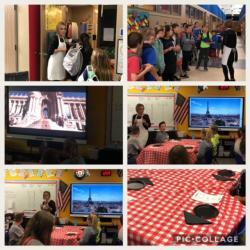 . .
Mrs. Crass turned her classroom into a Paris Cafe to hook her students. They got to expereince the sights of Paris on the SMARTboard. This was an introduction to their next extened . . .